BHeC said, “Exactly one year ago today, the Bermuda Health Council said it would collaborate with key stakeholders to reduce premiums. The Health Council stood by its commitment, met with the Ministry of Health and Seniors, Bermuda Hospitals Board, Health Insurance Department and local insurers and was able to achieve this goal. “Each year, the Health Council prepares an Actuarial Report to review the cost [Standard Premium Rate [SPR]] of a set of specific benefits [Standard Health Benefit [SHB]] that must be included in, and forms the foundation of every health insurance policy. 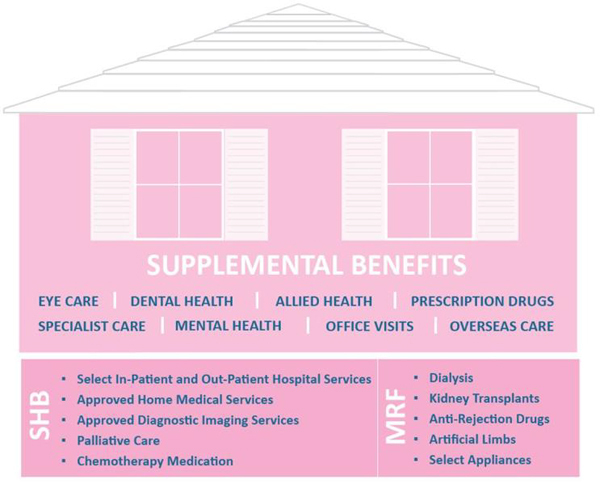 “SHB includes some inpatient and outpatient care, home medical services and diagnostic imaging services; insurers add supplemental benefits such as specialist care and dental care for additional healthcare coverage. “Effective 1st June 2017, SPR will decrease from $338.07 to $334.00. The decrease was achieved through changes made to SHB, such as encouraging palliative care in the home setting, introducing oral chemotherapy drugs, decreasing the price of dialysis and reducing BHB fees for diagnostic imaging. The cost impact of these changes are outlined in the 2016 Actuarial Report. There will also be several benefit enhancements including increasing the kidney transplant benefit from $30,000 to $100,000 and expanding the artificial limbs and devices benefit to include other non-surgically implanted devices of daily function such as oxygen and ostomy bags. The CEO of Bermuda Health Council Tawanna Wedderburn, said: “The ability to have a smarter benefits package while reducing premiums is a step in the right direction; it is an example of envisioning Bermuda as the healthiest island in the world. Dr. Ricky Brathwaite, Director, Health Economics at the Bermuda Health Council said: “During the previous fiscal year, we fundamentally reached a ceiling of affordability. Looking forward, requires a greater emphasis on prevention, service delivery in the right place and at the right time, and collaboration with stakeholders that influence the social determinant of health. Actuaries don’t care about politics.